Marcus Malte was born in 1967 in Seyne-sur-Mer, a small harbor city in the south of France, along the coast of the Mediterranean Sea. As a child, Malte immersed himself in literature, discovering the novels of John Steinbeck, Albert Cohen, Louis-Ferdinand Céline and Jean Giono. He began writing in elementary school and chose to major in film studies after graduating from high school. At twenty-three, Malte became a projectionist in Seyne-sur-Mer’s historical movie theater and soon wrote his first short stories. Later in the 1990s he began reaching broader audience with a series of novels, a couple of hard-boiled detective stories where Malte created the recurrent character of Mister, a jazz pianist. 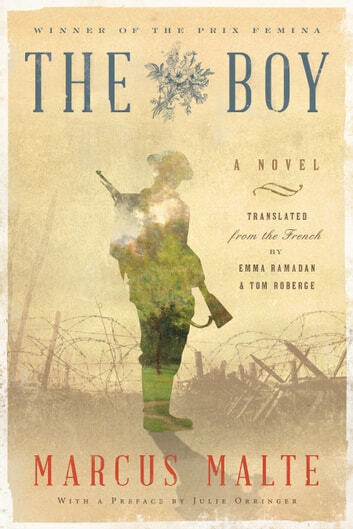 Marcus Malte’s fiction includes Garden of Love, his first real success (rewarded with a dozen literary prizes, including the Grand Prix of the readers of Elle, police category, 2007); Les Harmoniques (Prix Mystère de la Critique, 2012); and more recently Le Garçon (The Boy) for which he received the famous Femina Literary Prize (2016). 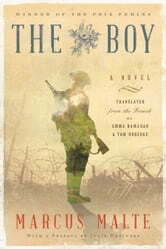 The Boy is his first novel to be translated into English.